Welcome to Broadkill Beach! 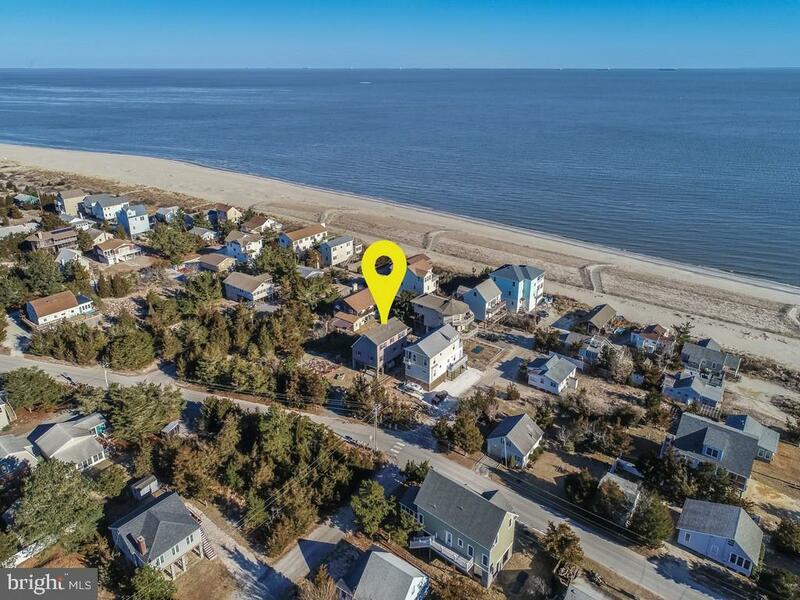 Discover this immaculate never rented home steps from the beach and Delaware Bay and priced under appraised value! January 2019 appraisal value is $436, 000 and the appraisal is attached for your review. Home comes furnished and ready to enjoy. Large great room with propane fireplace, dining room, and kitchen with island are all part of the open floor plan. Fireplace in great room is not connected and has never been used. Decks off the great room and kitchen have views of the bay. There are two bedrooms, a full bathroom, and laundry room are located on the main level. Upstairs you will find two large bedrooms, full bathroom, and a deck with views of the bay. There are also two walk in storage rooms that could be converted into two more bedrooms taking this form a 4 bedroom to 6 bedroom home. The ground level has workshop room that can be used for storage and has a powder room for easy access from the beach. Also, enjoy the outdoor shower after a day on the beach or bay. Septic certified March 2019. New roof being installed April 2019. Walk to the general store for an ice cream cone or sandwich. Launch your kayaks and jet skis in the bay and travel over to Lewes for lunch. Convenient to the Rookery golf course and Milton restaurants and grocery store. Start enjoying the quiet relaxing Broadkill Way of Life today! Directions: Route 1 to Route 16 (Broadkill Road) East towards the Delaware Bay, Make a left at the General Store. Go to Georgia Avenue and house is just after this street on the right (Bay Side).